It was really simple, tasty and quick! 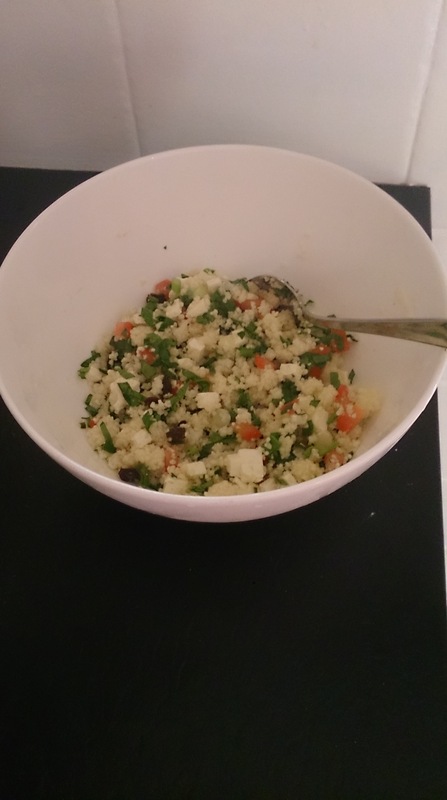 It is best when the couscous is cold which is why the next day’s leftovers made this great. So what did it have in it? Chop your spring onion, baby spinach, tomato and feta into small pieces. Add raisins and stir through the couscous. Squeeze lemon juice on top and sprinkle your cracked black pepper then stir all together. I put this together literally right before I served dinner but it would be nice to make in advance and let the flavors mix together a little more.